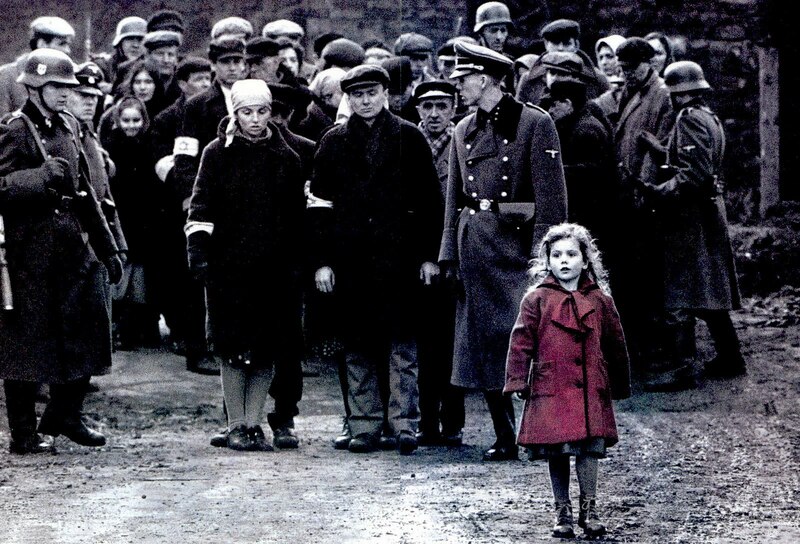 Arguably, Spielberg’s “Schindler’s List” is the the most conscious film of the past generation. UPDATED – July 10, 2018: Our definition of a Conscious Filmmaker is an artist with the aware intent to create motion pictures imbued with an enlightened purpose. Now, why do we refer to such a filmmaker as conscious? Let’s work to fully understand that word. The word “conscious” is derived from the Latin “conscientia” which means knowledge within oneself, a “sense of right, a moral sense“. A deeper etymology tells us that the first syllable derives from the Latin com (con) which means with or thoroughly, combined with the Latin “scire”, which means to know. This is likely borrowed from the Greek “syneidesis” that means knowledge. So the word conscious can be said to literally mean “thoroughly with knowledge”, and in this context can also mean thoroughly privy to, knowing and aware. So at its root, consciousness is also awareness… For a Conscious Filmmaker this consciousness serves as the aware intent in the process of creating a motion picture. In the context of a Conscious Filmmaker, empathy accompanies such awareness. And empathy leads to a desire for those outside of oneself to benefit from positive outcomes and experience. Empathy fuels compassion, which allows us to feel what another is feeling. And when such consciousness is shared, it becomes a powerful and beneficial symbiotic feedback loop that lifts and evolves society in the most positive way. All creative works are to some degree works of consciousness. However, when we refer to a film or filmmaker as “conscious”, we are referring to a standard or quality of consciousness that reflects the most positive aspirations – the manifestations of which are necessary for true societal evolution. So what we are addressing here is the quality of consciousness. One can say that any living creature, even an insect, is conscious. However, there’s an obvious wide gulf in the nature and quality of consciousness between an insect and a human being. The same holds true for creative works, and especially films. A motion picture is more than simple passive viewing. Whether we realize it or not, it is an experience, that even though vicarious, possesses the potential power to move us deeply in a positive or negative direction. A film will serve to either enhance our consciousness, or dull it. And in extreme circumstances it can work to even devolve our conscious being. Gratuitously violent films that serve no other purpose, but to revel in the gory destructive expressions of evil are in my opinion movies imbued with the least amount of consciousness. They can even be said to be unconscionable. Such works are to be distinguished from films that may contain horrific violence; however the violence depicted is not gratuitous and wanton, but necessary for communicating a higher message. Perhaps the greatest conscious film ever made was Schindler’s List. And yet, it depicted horrible violence; but such depictions were necessary in order to awaken people to the evils of Nazi Germany and a racist, authoritarian regime. 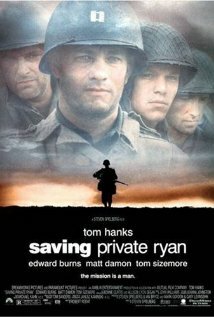 The same logic is true for the film, Saving Private Ryan. Its opening twenty minutes were the most accurate depiction of warfare ever revealed in a motion picture. Let me also unequivocally state that our emphasis on promoting the Conscious Filmmaker approach isn’t to be confused with any faith-based media endeavor. In fact, I have found that some of the most unconscious works are among the most religiously tainted motion pictures. Conscious filmmaking is distinct from the promotion of any sectarian theological worldview. A Conscious Filmmaker production certainly can have a theme inspired by a spiritual faith tradition; however a truly conscious film is never to be defined by the application of a religious litmus test. Now that you know what a Conscious Filmmaker motion picture isn’t, the next question is how do we determine what truly is a conscious film? The most conscious films are those that ultimately serve to enrich an audience, and thus society. But there is another advantage to a Conscious Filmmaker approach that should also be intriguing to those individuals, studios, institutions and companies who fund movie endeavors. Ironically, it turns out that those films which meet a unique set of criteria also happen to be among the greatest box office successes. I’ll demonstrate below how a focused “Conscious Filmmaker” approach to producing movies greatly benefits both society and those who invest in such motion pictures. 1. Does the film reveal complexities of the human condition in a non-exploitative manner and/or affirm the life of others? Does the film depict the joy or struggle inherent in any aspect of the human condition, and in so doing affirm and validate the experience, and thus human life in general? Or, does it also in some way, give more life to the audience (does the audience walk away from the movie feeling more alive); and/or does it explicitly or implicitly acknowledge the worth of others, of humanity? 2. Does the film depict selfless or noble action towards another, or others, in a non-exploitative manner and serve to elevate humanity? Through the actions of the protagonist(s) does it either implicitly or explicitly support, uphold and demonstrate the transcendent, inherent and priceless dignity and value of humankind and the individual. 3. Does the film challenge its audience and/or inspire its viewers to connect? A conscious film often will challenge our paradigms and constructs. It can inspire us to evolve, and often can even offend and anger those who remain rigid in their social, ontological, and even religious perspectives. It can also allow us to connect with something deeper within, or something greater outside ourselves. So we also ask does it challenge and/or connect with a greater consciousness, an idea, new paradigm, character and/or plot development, or a profound emotion? Or, does it awaken in us a new profound realization that we also connect with? You will note that the term “non-exploitative” is used in elements one and two. This is an important consideration. There are films which are created with ostensible or even insidious agendas that appear to embrace these elements, but are little more than either religious or political propaganda. This does not rule out films with religious or political themes; however, we must exercise wise discretion when considering whether such films meet the standard of a motion picture that truly reflects a Conscious Filmmaker approach. Examine this list and then ask yourself for each movie you recognize: Was it life affirming? Did it elevate humanity? Did it challenge and/or inspire the audience to connect? For at least 90% of these films, the answer is yes. Even if one’s interest in filmmaking is purely for capitalistic gain – there is no rocket science in realizing the unparalleled opportunity that a Conscious Filmmaker® approach represents. Such films are a win both for humanity and any investment portfolio. Knowing this truth has always led me to ask: Why, when given the unparalleled forum to create and distribute a motion picture, would anyone desire to take anything less than a “Conscious Filmmaker”® approach in the production of a movie created to be seen by tens of millions? When that question begins to be asked more by funders, sales agents, distributors and especially filmmakers, we will see no less than a radical revolution in the quality, consciousness and success of movies released worldwide. Conscious Filmmaker® is the registered trademark of David Christopher Loya-Bojorquez All Rights Reserved. Note: ANY advertising placed on any of these blog pages is not controlled by the author; nor does it necessarily reflect his opinion or ethos. Nice. We need to keep making media content of this nature. I am feeling very positive that the tide is shifting, Newtown changed EVERYTHING and if you think about it, what kind of a society would we be if it had not? I have been in love with STORY all my life. I have seen nearly every one of these 200 top grossing films and yes, there is a consistent theme in most of them, it is the focus on the human spirit-our humanity is what brings us together. I recently turned down a writing gig because it was dark and violent and it was right after The Movie Theater Massacre and I just felt sick about putting my efforts into something that, although had some redeaming qualities, at its heart was not for me. Since taking this personal stand, I have since gotten really hot in terms of writing gigs and guess what, they are ALL POSITIVE STORIES, oddly two of them are about people’s Near Death Experiences, which is really what my film Make me Blush is, an NDE. I want to continue to write stories and films that elevate. I feel a kindship. This important article has been updated since it was first published in January of 2012. Wonderfully written, full of truths that can only be found by someone that has done intensive self spiritual work. I feel like this article was written to give me a hug, and I THANK YOU DAVID! Thank you, John! What a wonderful and kind message to wake up to late on a Sunday morning! I very much appreciate your intuition and insight… It still remains a very rare talent in this business. Challenging – thank you for this well written article. Inspiring and beautifully stated. You clearly define the essence of conscious filmmaking… and hence, enlightened movie watching. Consider me an ally of your cause.